Pacifica Northwest is the most popular girl in Gravity Falls but her popularity isn’t well earned. 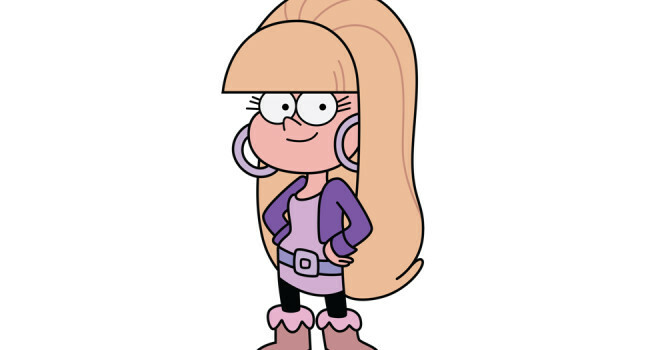 She’s a stuck-up, mean girl who develops a rivarly with Mabel. It only takes a near death experience for her to change her ways. In Mean Girls, Regina George (Rachel McAdams) is the queen bee of The Plastics clique. Despite her spiteful, mean, and superficial personality everyone in high school wants to be like her. So when she wears a shirt revealing her bra, of course everyone else starts doing it too.